﻿ 4 Ways to Connect with Local Customers via Social Media » Red Mango Marketing! In this article you’ll discover how to connect with local customers on the top social media networks. Discover how to connect with local customers via the top social media networks. There may be over 1.4 billion active users on Facebook, but only a fraction of them live near your business. Fortunately, there are ways you can overcome the low organic reach of Facebook pages to engage your local customers. Promote Facebook check-ins at your business. When people check in, they’re giving you free visibility in the news feed. Whether you incentivize check-ins (free coffee) or simply display visual reminders for customers to check in, this is a great way to promote your business to a local audience. 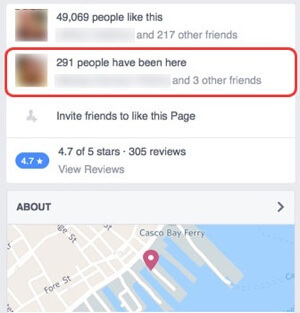 Check-ins appear on your Facebook page and in the news feed. Boost your posts. Facebook has added some targeting tools to boosted posts, including the ability to target lists you’ve uploaded through Facebook Ads Manager. Target a segmented email list of local people to make sure they see your important posts. You can target your segmented email lists when you boost a post. Post an update to your business page, and then share it as yourself. This allows you to reach a wider audience. By sharing it personally, you can decide whom to share the post with and focus on people in your local community. Don’t go overboard with this tactic, however. Your family may not enjoy an endless series of updates about your free ebook. Promote Facebook events. Hosting local events such as social media breakfasts, lunch and learns, or business after hours increases your visibility both online and off. 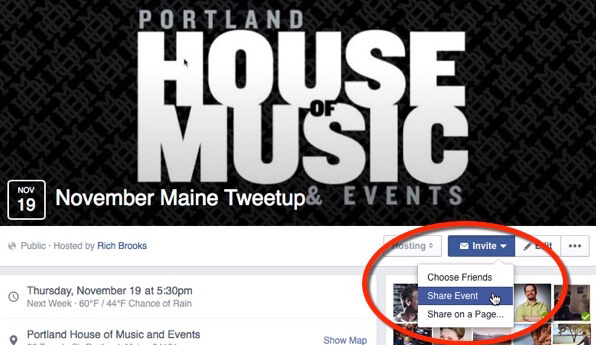 Create a Facebook event and share it with your fans and friends or promote it. Everyone invited to the event will continue to see it in their notifications and in upcoming events unless they decline the invite. Again, focus your invites on people who live and work near you. Promote your event on Facebook to increase your local reach. Twitter may not be the social media behemoth that Facebook is, but it can be valuable for marketing to a local audience. Both your Twitter profile and your business’s profile provide many opportunities to connect with the local community. For example, you can include a recognizable landmark in your header photo, mention your home team allegiance in your bio, or list your city or state in the location field. 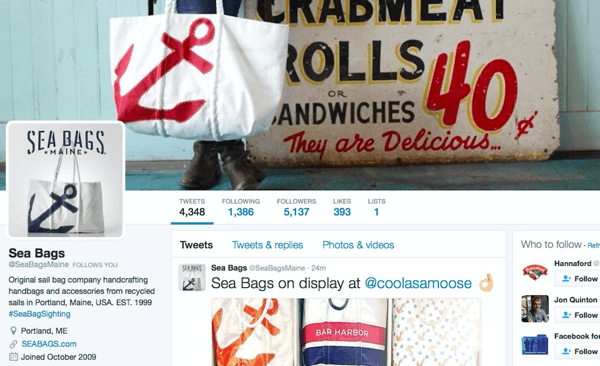 Incorporate your local community into your Twitter profile. It’s also helpful to set up Twitter lists, which allow you to create segmented groups of interesting people and businesses around a certain topic. 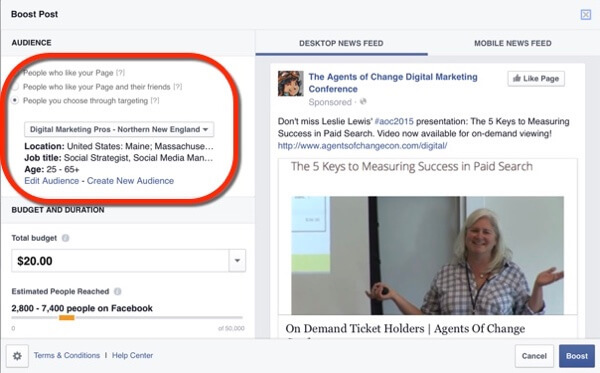 If you’re not using lists, you’re probably swimming in noise in your news feed. For instance, I have a Mainers list to keep tabs on what people are saying in my home state and an Influencers list to track industry trends. 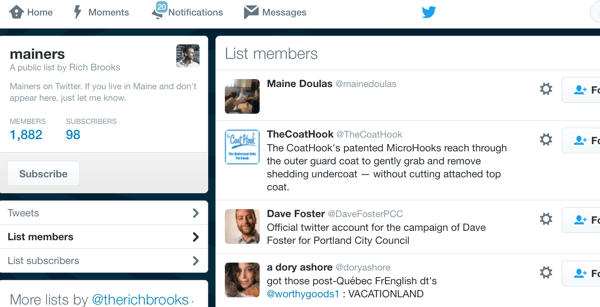 Use a tool like Hootsuite orTweetDeck to pull lists into columns and improve your signal-to-noise ratio on Twitter. Lists need to be created manually. Chances are high, though, that someone has already created a list of people near you, whether you live in Oatmeal, Texas or Sandwich, Massachusetts. Look at the lists of some of the more connected people near you, and if you see one that’s interesting, subscribe to it. Don’t have time to create your own list? Subscribe to someone else’s. Use Twitter’s Advanced Search as a good way to find leads for your local business. 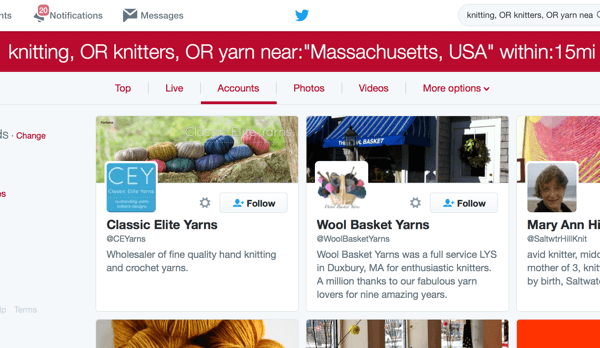 Suppose you own a knitting store and want to find local knitters on Twitter. Go to Advanced Search and search for “knitting” or “knitters” or “yarn” within 15 miles of your store. On the results page, click on the Accounts tab and you’ll see some active knitters. Follow them. Add them to your Local Yarnheads list. Engage them by asking and answering questions. Search for local prospects and then follow and engage with them. You can also connect with local customers by running Twitter ads. Although Twitter hasn’t collected as much user data as Facebook, it still has a decent advertising platform. Like Facebook, you can upload your segmented email list and target those users with ads. You can also target ads by location. 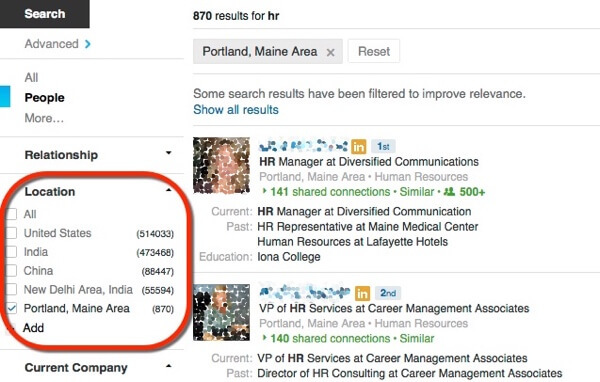 LinkedIn, the business-focused social platform, makes finding local people a snap. Since the addresses are for companies and people are encouraged to be their real selves, the information you find is pretty accurate. Let’s say you want to find local HR professionals. Search for “HR” and then filter the results by city or state. Finding local prospects is easy with LinkedIn. You can even save your search and have LinkedIn send you weekly updates for any new people who match your criteria. It’s like getting a list of local leads sent to you weekly! 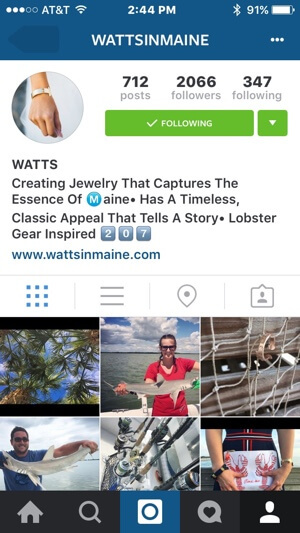 For companies with a strong visual brand, Instagram can be a great platform. As with Twitter, your Instagram profile has some good local branding options. There are plenty of local branding opportunities on Instagram. Like its parent company Facebook, Instagram lets you target ads based on geography or lists that you upload to the Facebook Ads Manager. You can also leveragehashtags to find out what’s going on locally and contribute your own posts as well. No matter how important social media is to your business, your website is where you generate leads and make sales. Make sure that your business info (name, address, and phone number) appears on every page of your website, and is consistent with online sources like Google My Business. You can use the freeMoz Local tool to check your citations and see if your listings are consistent. In addition to social media, email is also an effective tool for making sales. As you grow your list, segment your local audience so you can target them with special offers that will interest them specifically. By capturing location information, you can better market to your local customers. In addition to these social platforms, there are plenty of others to consider such as Pinterest, Periscope, Blab, and Reddit. All offer ways to connect with your extended neighborhood. This entry was posted on Tuesday, April 12th, 2016 at 3:17 pm	and is filed under News & Updates. You can follow any responses to this entry through the RSS 2.0 feed. Both comments and pings are currently closed.